What a great experience I had during my recent trip to the east coast. 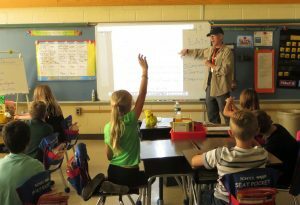 I returned to the school district where I began teaching and did an Author Experience with each of the fourth grade classes at the Thomas Conley School. Thomas Conley was once principal of the elementary school and was the man who hired me in 1974. He was a great guy to work with, and I had a lot of respect for him as an educator and a person. 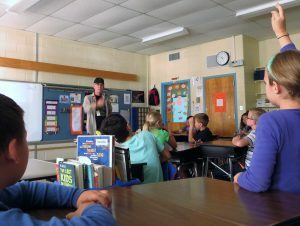 The fourth graders I met with were curious and enthusiastic, the best kind of students (and writers). Happy writing!